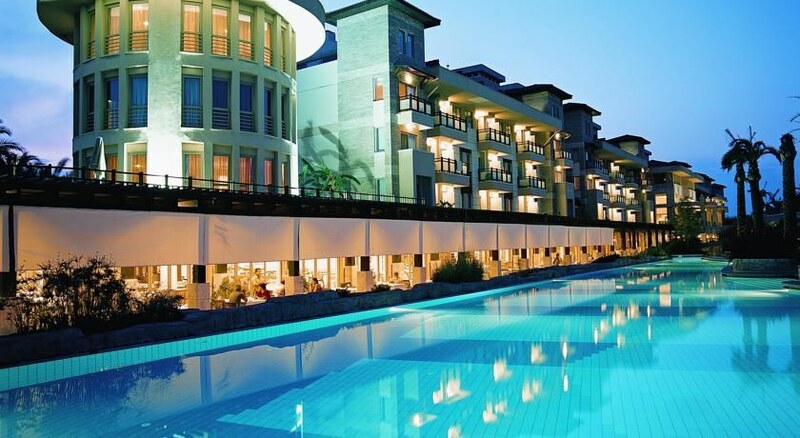 Enjoy a sun filled holiday in Side by booking your stay at the fabulous 5 Star XANTHE RESORT AND SPA HOTEL. 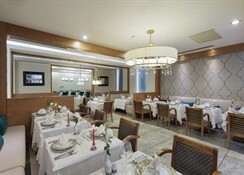 The all-inclusive XANTHE RESORT AND SPA HOTEL is located less than 5 km from the historic town of Side and is a modern hotel with a distinctive architectural design great for couples and families looking for a luxurious yet affordable holiday with plenty of rest and relaxation along with countless activities and attractions. The beach is steps from the hotel with plenty of water sports on offer as well as shopping, restaurants and a lively nightlife just a short walk away. 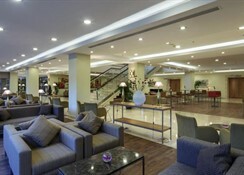 Antalya International Airport is 51 km from the hotel. Side (pronounced see-deh) is one of those Turkish destinations that has it all, from ancient ruins through to pretty beaches. Must-see attractions include the amphitheatre (which is the largest one in Anatolia), the museum that is housed in the old Roman baths, and also the Temples of Apollo and Athena. 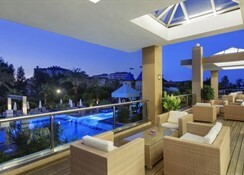 All Inclusive accommodation. 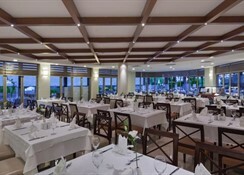 The hotel has one main restaurant with terrace, Kid's Restaurant, a la carte restaurant (reservation required 24 hours in advance), restaurant bar, Pool Bar, Lobby Bar, and Patisserie. 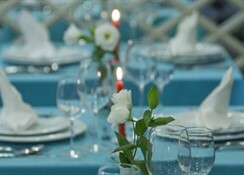 All meals and drinks includes with the exception of imported drinks, fresh fruit juices, mini bar (excluding soft drinks for once and every other day filled-up water), and all drinks after midnight. Entertainment consists of activities throughout the day for adults and children, and night shows. Outdoor swimming pool and aquapark, sunshades, chaise lounges, mattresses, beach towel (free), outdoor children's pool, baby pool, indoor swimming pool, animation activities, table tennis, Dart, Billiards, beach volleyball, basketball, tennis court, mini golf, archery, Aerobic, Fitness Centre, Water Gymnastic and various Water Sports, Turkish Bath, sauna, Hammam, and massage services, Kids Club with fun and games. There is a riding and football centre nearby as well as opportunities for golf. 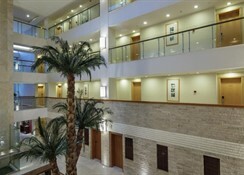 Additional: 24-hour reception, shopping centre, hotel doctor and nurse, meeting rooms. The XANTHE RESORT AND SPA HOTEL features standard rooms and family rooms all with a private bathroom (shower or bath, WC, hair dryer), air conditioning, flat screen Satellite TV with music channels, mini bar, safe (extra charge payable locally), telephone, electronic key card access, and a balcony. Standard rooms can accommodate up to 2 adults and one child and can be booked for single use. Family rooms can accommodate up to 4 people.